Gave the class a few hands on demonstrations of what makes the dulcimer dance. Brad was kinda like that commercial on tv when he talked people listened. The instructor Brad Layher: Currently on tour for the last year and a half with Mitch McVicker. 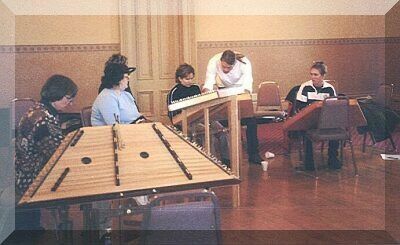 Brad is a very gifted and talented dulcimer player who in concert plays it with amazing results. Brad also plays in concert acoustic guitar and blends his own awesome vocals to the music. He has recorded on several albums in Nashville, including: the upcoming Mitch McVicker ~ Chasing the Horizon;Alathea's ~ The Rains; and his own project with friends the newly released Appalachian Christmas Album. Brad has a Civil Engineering degree from Tennessee Tech, but chooses to make his living in the music industry. 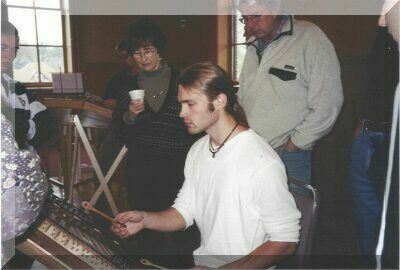 Don't miss a change to experience the awesome, awesome sounds of Brad on the New Appalachian Christmas CD. Plenty of dulcimer sounds to enjoy. The coordinator, Jennifer Grahek warmly greeted people as they walked in and got set up. She said 17 had originally signed up! The class ended up being about a dozen when some far away guests canceled fearing a blizzard would strand them. The room was set up nicely with places for people to park their instruments. 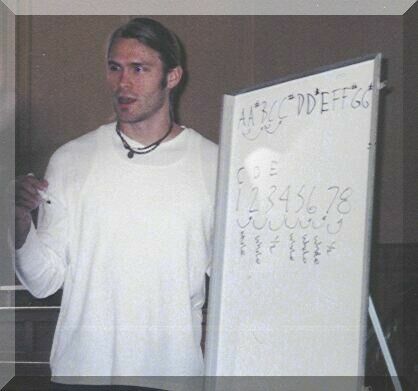 There was a board ready for Brad to use to illustrate anything in writing. Some basic music note background knowledge was needed so this tool proved useful. Brad starts out with a smile, handouts and explaining the notes and chord structure. 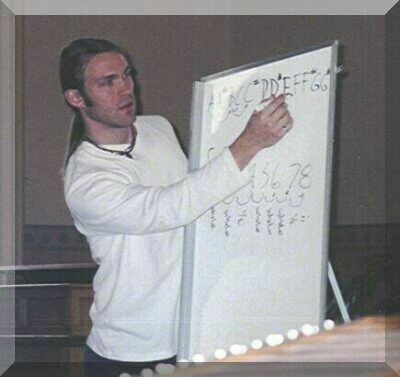 He gave some basic music theory, simple stuff. He felt the connection to the keyboard would really help them understand how the dulcimer worked, which would ultimately excel their abilities down the road. So he explained things like raising a note 1/2 step would sharp it, and lowering it 1/2 a note would flat it. Maybe too simple for most, but it allowed in a short time, for everyone to be on the same level of understanding these basic principles. I don't know keyboard, but did flute forever. But then it's also been forever since I've done flute and read music, so even for me it was good foundation. This workshop was for all levels, and this quick background gave them a quick understanding. Then he touched on the major scales and major chords theory. It was great for people who don't do keyboard. 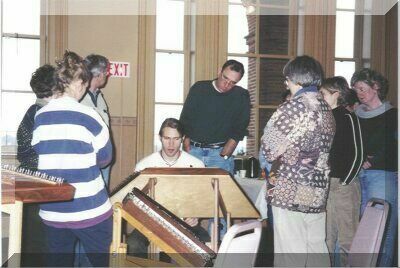 Brad explained that dulcimers were cool in the way they are set up. How all the scales start on the "notch". After this quick overview he tried to get an audience feel for their abilities and understanding, before they went on. He stressed it was important to not embarrass anybody, because any, any skill level could get something out of all this today; but it would be good to separate between two levels. Those that wanted more basic, and those that felt they were ready for a higher level. 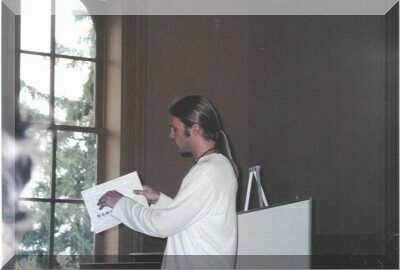 They would all listen when he was talking to the large group, but then when it was time to practice, he spend extra time with those at the beginning level. Brad shared that he had self taught himself the dulcimer, and this is amazing, because his in concert level of playing is pure, pure talent. I had asked him earlier when did he start playing guitar. He replied "since the end of 8th grade..I sat and looked at it in the corner of my room with my friends for a few years and all we ever said was "cool...Brad has a guitar!" That was the extent of guitar playing until I got this really poopy acoustic guitar for christmas my junior year of high school. I worked really hard at it from then on out. It was one of those extremely "hard to play" guitars that made my fingers hurt everyday for about three years until I got a new one." This artist is considered by many to be a very accomplished and respected musician. 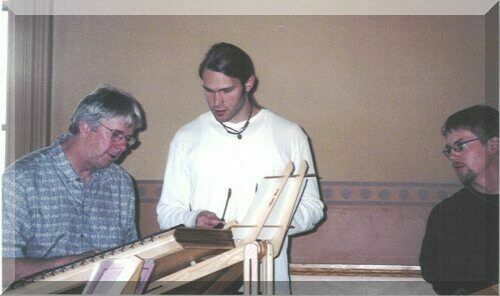 Yet he readily admits, learning the dulcimer added a whole new dimension to what he can do and achieve on guitar. It has given him a better understand of music. I believe this will ultimately be of significant influence to his own developing song writing skills. 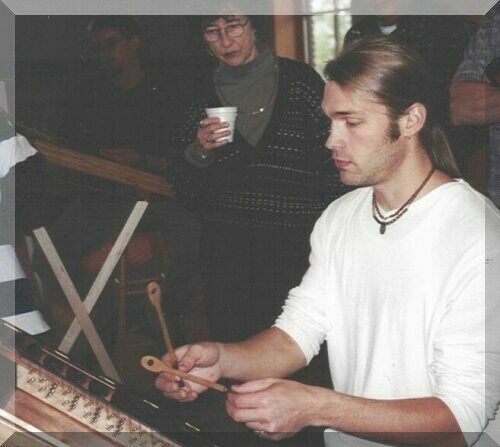 Who knows, maybe he will start composing on dulcimer, songs that will eventually be recorded on guitar. Brad explained the cool thing to do when your still learning dulcimer is to use long strips of paper with the notes written on them to learn with confidence where those notes are. He did it, called it cheat sheets, but said for some who don't have where are the notes knowledge down, it will probably work for them, just like it did for him. So then he split the group up, and three took the basic section of the room and the rest did a circle at the far end. Still the groups came together to listen to him, but once they started playing, he gave extra attention to those who wanted some more information on some basic questions. his hand movements down. His style was very encouraging, very non threatening and very open to answer any and all questions as they came his way. Brad does have a very analytical mind, and these guys benefited from that as he worked out their questions. Must be that engineering degree coming through again. I know he gets teased about that relentlessly. 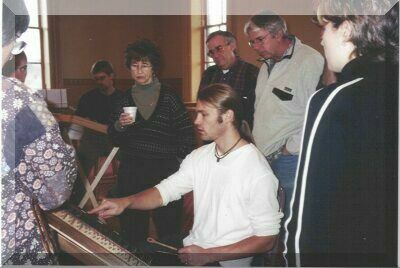 Next was Brad doing the hands on with the students circled around his dulcimer while he taught them skills. Did I mention the sounds he gets from his own instrument are spectacular! So they watched, and they learned, and then he watched them play and answered questions and gave some one-on-one time. He taught them techniques, slowed it down so they could see and grasp it. Then he gave them some things to practice, some patterns, while he brought the three back to the other end for their own one-on-one sections. The sounds coming from the one end when he migrated to the other end were awesome. I believe he was asked a whole range of questions, from a varied group of people; and his only challenge was not the answer, but guiding them to understand. It was cool to see people beam when they learned new things from Brad's answers. People asked him about chords, about how to achieve unique pattern sounds. The one-on-ones I listened to were always insightful and helpful. Brad also had the unique skill of making everyone comfortable. People later said, there was no problem asking him things we didn't understand. He listened, and gave us and showed us the answers with ease, and didn't pass the question until he felt we understood it. His patients, knowledge and openness to bringing them in a short time one step farther on their music journey on this instrument was fun to observe. This is actually quite an accomplishment, trying to bring a dozen people, all at different levels, up just a bit. No I didn't cover the whole room, but 75%; and those people enjoyed this afternoon. He taught some, things to practice; going up and down scales. Doing some patterns and the effect that it achieves depending on what note you are playing. Also when your playing melody and then using a pattern to achieve cool, cool sounds. He stressed again to a number of people, to just use those cheat sheets and learn where those notes are. Get that knowledge down. I relate to that as the same as typing. You know if you hide your hands, don't let them move, do you think you could quickly read the 1,2, or 3 line of a typing keyboard? For example the middle row is asdfghjkl;.. well you fingers learn that with practice, and I think if you practice the dulcimer with some of that same concept theory, starting out with cheat sheets, till you have the basic where are those notes down, you'll have a light bulb moment! And the cool, cool thing; the dulcimer has just awesome sounds waiting for you to explore as you learn to play. He explained the relationship of if you can figure out what note you are in you can figure out what chord you can play. And then you can figure out the patterns that will work according to the chords chosen. Brad showed the awe of droning on a note and them playing the melody with the other. Brad excelled on this instrument because he took a semester off, and used the free time from academics to just explore and learn what he could do with patterns as he taught this instrument to himself. Because he had this much time to devote to it intensively, he was concert ready in just three month's. Of course Brad also just has gifted talents. But even for him, the talents were amplified because of practicing. 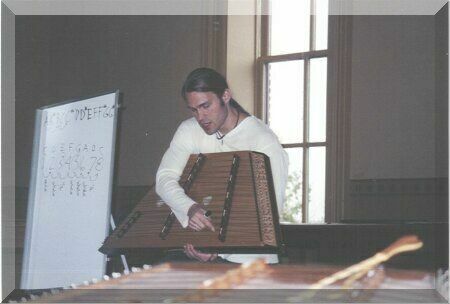 If you haven't heard Brad in concert on this instrument, you are missing a joy. He gave them something to try, depending on what note your playing, drone on the 1,5 or octave. As a devoted, accomplished musician, his techniques shared gave this group an opportunity to elevate to their individual next level. In some cases, inspiring those individuals to keep pursuing this instrument for their own enjoyment. The feedback was good. 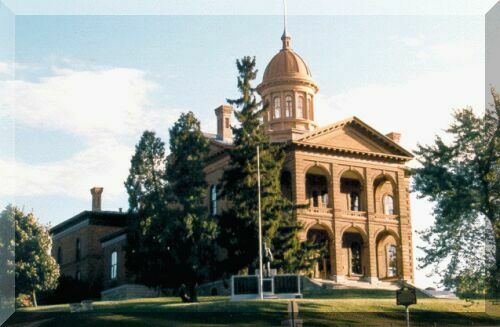 People enjoyed the day, they enjoyed the experience. The beginning group after just this short workshop felt they would be ready to join the other group. They might not of been near playing at the level of some of those people, but Brad gave them insight and confidence that allowed that next level individual jump with ease. The ones I asked said yeah, they would do it again. With confidence I'd say the vast majority had an awesome time. awesome hammered dulcimer afternoon and a wonderful follow-up concert! I later asked Brad how he thought the workshop went. 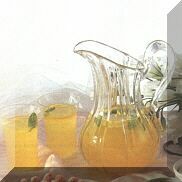 He said.. good.. what do you think.. and I said it went really well, from the feedback I received from a sampling of the group. Brad replied, well I think what they think is more important then what I think. So individuals gave him some feedback and then people volunteered more feedback when asked. No one I approached was ready to leave, and it was a three hour workshop. A few of the advanced guys left about fifteen minutes early because they knew their one-on-one time was over. I asked Brad if he would do it again, if the opportunity of schedules allowed it. This one was ideally planned, because they needed to be in the area for another couple concerts any ways. He said yes, but it would take a bit of planning. He said making money is not important, but losing money is. This workshop was planned around concerts that were already in the area so the overhead costs of travel were covered. Some people wanted a longer session, and Brad goes really! And then he said yeah, you could have more than one session in a day, but smaller groups then even this would allow more individual time that people craved. Getting an artist, who makes a living in the music industry, to sit down with you at a workshop is special. Brad didn't do this one to supplement an income need, and his caliber of knowledge in my opinion would not of been affordable by this group if he did. So due to some great coincidences, this workshop was arranged, and the response was favorable. As a bonus, they were treated to an awesome, awesome concert that night by a trio that should never be missed. And yes, their dulcimer teacher did at outstanding job showing them what effects could be achieved in concert.